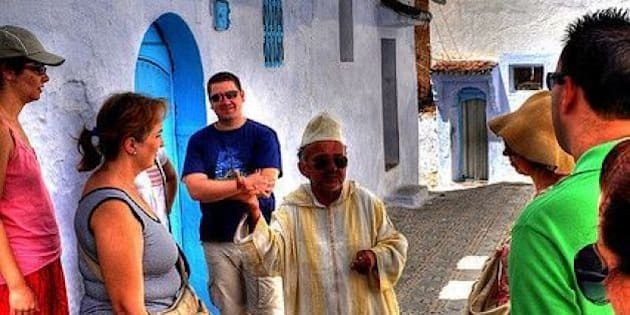 It's easy to see why travellers sometimes feel like they're treated as walking wallets. From hotels to airlines, everyone seems to be after those dollars in your pocket. Take the case of the $87 Italian ice cream. Just last May, two British couples were ripped off while ordering four ice cream cones from the Antica Roma bar near the famous Spanish Steps, in Rome. In the bar's defence, workers said the ice creams were "really big", according to the Telegraph. Unfortunately, ripoffs are not an isolated incident. Tourists experience plenty of unfair tactics to separate them from their cash. Things to know before you go, include added fees, spending traps and exorbitant costs for little in return. The Most Notorious Travel Ripoffs. Slideshow text follows below for mobile readers. All that’s missing is the gun for this type of robbery. Bottled water for $8 and five-dollar chocolate bars pad a hotel’s bottom line nicely. Don’t take the mini-bar key from reception if the only thing you can’t resist is temptation (nod to Oscar Wilde). Better yet, use it for it's true purpose and fill it up with your own snacks and drinks. Ouch. Some hotels in places like Las Vegas charge guests upwards of $25 per day as a resort fee, which is supposed to cover things like gym access, daily newspaper delivery, and Wi-fi access. Not going to head to the gym or read the paper? You'll be charged anyway. Some hotels use these fees to boost revenues and to hide rate hikes. Somewhere between business class and economy comes a new category: “premium economy.” More airlines like Air Canada are introducing it as a middle ground for passengers, but at almost double the price, it’s just not worth it, even if it does offer perks like extra space, priority check-in and two free checked bags. No one likes having to pay for checked baggage. Just ask Consumer Reports whose survey claims it's one of the top of things that ticks off travellers. As of late, it seems more airlines are grabbing for these bucks. Porter Airlines now charges for checked airlines on flights going to the U.S. Why? Here's a clue. In 2012, U.S. airlines raked in $6 billion on checked baggage fees. Cruising is all about surf and turf, but it’s the turf portion, the port of calls, that gouge your travel budget. Shore excursions sold to passengers by cruise ships are marked up to help reap tidy profits. Skip them and arrange your own without the middleman. Is there anything more hated than being charged for Wi-Fi access? While chains like Holiday Inn offer it up free, you have to wonder why some hotels are still charging up to $32 for the something you can get gratis while you eat your morning donut at Tim Hortons. It seemed like a good idea at the time – a quick day trip to Tangiers in Morocco to see the sights. Instead, you get dragged to carpet and souvenir stores and you stay there for hours. In situations like this, chances are, your guide is taking a kickback from the store proprietors. A dirty deed indeed! Dear airlines: If you want to annoy your customers to the max, charge for something that used to be free like exit-row, aisle, window or upfront seat, or the pre-selection of any seat at all! It’s hard not to be enticed by store signs promising discounts of 50 to 70 per cent on booze, tobacco and luxury goods. But those bargains might be a mirage. Many duty-free shops are located in airports where rents are notoriously high and prices are jacked up accordingly. It's best to research prices at home before you fly or buy. That holiday glow disappears quickly once you see the cost of beverages billed on your cruise. Drinks aren’t all-inclusive as some people think when companies charge around $2 a can for soda, or $7 a day per traveller for a soda card. When it comes to booze, it’s often cheaper to stay on the wagon. It’s rare for them to be included and cruise lines won’t allow you to BYOB.